It’s deja vu all over again. This time last year, the big announcement from Sweden’s drum machine mavens at Elektron was Overbridge – technology for integrating their hardware with your computer setup. 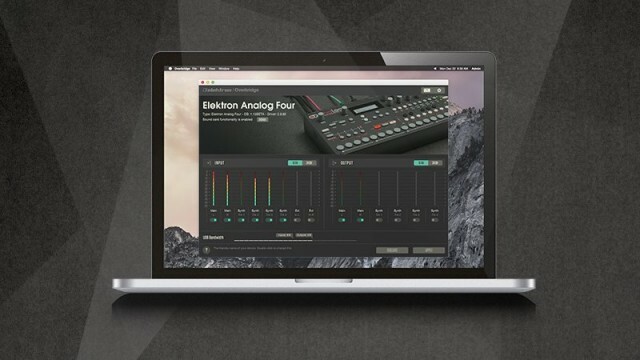 But it seems that what’s happened is that Elektron has expanded the scope of the technology. The pitch: make an “analog” plug-in. The original idea of Overbridge is the same. At its simplest, you plug in a USB cable and get all your ins and outs from the hardware. And they’re still planning editor/librarian features, so you can recall settings and automation with projects easily. Of course, we’re not really talking analog here – by the time you’re recording to the computer or doing a round-trip through your Elektron for effects and back again to the computer, you’re digital, by definition. Rather, it seems what we’ve really got here is a more fleshed-out vision of how the Overbridge software will look and work. And you get an actual VST or Audio Unit you can drop in a project. It also has a slick new UI teased in the screen shot. Analog or not, it’s cool. In other words, I think this is what was more or less described verbally last year, only now taking form in software. Reading through that list, you can see why this might prove worth the wait. Using your analog Elektron as outboard processing gear from a plug-in is pretty cool. And while the process of managing samples and patterns is right now painfully clunky, this could be the most computer-savvy drum machine hardware we’ve seen yet. No, I think the bad news is that the Octatrack is left out, as this sort of integration would seem to be hugely interesting to that audience. I’ll try to track Elektron and find out more, and see if we can get a closer look at the software.